A couple of important votes in the mid-term election haven’t received a lot of attention on the East Coast, but they may point the way to where New Jersey is headed in the near future. On Nov. 6, voters in three states approved marijuana legalization: Utah and Missouri voters approved legalization of medical marijuana, while Michigan became the first Midwestern state to legalize the recreational variety. New Jersey is considering both issues right now, and what it decides could have an impact on workplaces throughout the state. Though medical marijuana has been legal in New Jersey for some time, the Christie administration kept tight controls on distribution. The Murphy administration’s goal is not only to increase access to medical marijuana but to legalize recreational use as well. 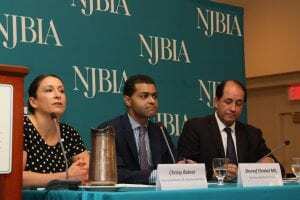 At NJBIA’s Healthcare Town Hall on Nov. 7, Health Commissioner Dr. Shereef Elnahal said the administration had done about everything it could do administratively to make medical marijuana more available, and has doubled the number of people in the program. But increasing access beyond this would require legislative action. State Senator Joe Vitale, also speaking at the Town Hall event, is sponsoring legislation that would make medical marijuana more accessible and give legal protections to caregivers who provide it. Elnahal said medical marijuana would be another tool at physician’s disposal that can do more than aspirin to relieve a patient’s symptoms, but with less risk than opioids. But legalization comes with its own set of problems, not the least of which are its potential impacts on a drug-free workplace. 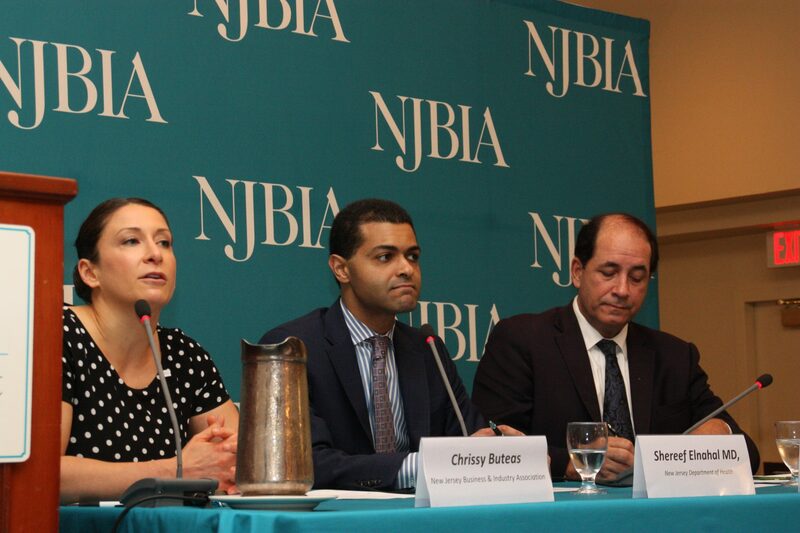 NJBIA is working with lawmakers to ensure any legalization bill gives employers the tools to keep people from working at their businesses while high. NJBIA Vice President Mike Wallace said legalization bill should include provisions that will allow employers to maintain a drug-free workplace, including the right to terminate employees who test positive for the drug. “NJBIA is not asking for anything extraordinary; employers continue to have this right in states like Colorado, California, and Massachusetts that have legalized marijuana,” Wallace explains. Vitale said legalizing recreational marijuana use could also hurt the medical marijuana industry. As a member of the NJ State Industrial Safety Committee, NJ Section of the American Industrial Hygiene Association, and Board of Directors Member of Workplace Health Without Borders – US branch, I would be grateful to provide insight into the occupational health and safety issues facing employers and employees. If you would like me to discuss my credentials relative this issue, contact my office: windsgroup@aol.com. Thanks. Seeing a doctor every three months to renew your prescription card and paying him $100.00 is a joke. You never see a doctor, only see an employee who takes your credit card and processes it. The determination of how to keep a drug free workplace should be first and foremost. Before legalizing marijuana, the legality of the process and the cost of testing employees should be completely researched. Employers and their companies need to be protected when testing employees for working under the influence. If an employer drug tests an employee and the employee is determined to be drug-free, the employer must be protected by law from a lawsuit by the employee. There are a number of different ways to determine if a person is under the influence of alcohol, but not so for marijuana. The additional cost of testing should be part of a medical package for companies and paid for by the state through the income from the taxes on the sale of marijuana. If the governor is so gung-ho for the legalization of marijuana, all of the possible scenarios of workplace problems must be completely reviewed and solutions determined prior to the legalization of the drug. States that have legalized marijuana have these problems, but these problems have not been brought to the forefront since the idea of legalization is being used as the answer to all of New Jersey’s budget problems.